Punk cabaret. Thrash. Swedish death metal. New Wave. Avant-garde, post punk, experimental electro pop, dark wave. Sometimes it seems you need a doctorate in musical philosophy or enough hipster cred to explain what you’re listening to. Maybe humans need to categorize things. Maybe stereotypes and schemas make things easier to understand. But really, does a kid with a synthesizer or a guitar care much about genres, themes and stanzas? Probably not. And neither does Shearwater. The Texas band was formed in 1999 by Jonathan Meiburg and Will Sheff — members of the acclaimed indie band, Okkervil River. Like so many bands before them, Shearwater was created to venture into the softer, prettier side of life. The band makes musical mosaics. It’s Enya meets drug-addled ‘60s folk and operatic chamber music. Songs are complex, seamlessly arranged and vocally driven by Meiburg’s tenor and falsetto voice. Where Okkervil River is a poster child indie band — upbeat tempos, clever urban lyrics and simple arrangements — Shearwater is more like a voice recital. Meiburg’s voice is the dominant instrument, surrounded by a symphony of drums and music-box pianos. An ornithologist (a researcher of birds), Meiburg speaks vaguely and ambiguously about his music — but without pretension. For a field scientist who patiently studies birds — particularly difficult species to follow — Meiburg has an uncanny ability to have no concrete explanation for what Shearwater does. And he’s content with that. He says Shearwater never seems to know where a record is going — even after it’s finished. It’s like going into the unknown. Take, for example, the band’s latest album, The Golden Archipelago. It’s the third work in a triptych of albums (that also includes Rook and Palo Santo). Although Meiburg is hesitant to call the trio of records “concept albums” — largely due to inaccurate Pink Floyd references — he says he had an inkling that they were going to turn into a multi-album project. “There’s no plot or individual characters, but at the same time it’s important to have an emotional wholeness to the record, to the entire journey,” he says. Although The Golden Archipelago is loosely themed around life on islands, the previous records share few similar consistencies. Though the music is all so different, it’s meant to be listened through in its entirety. These are not singles or pop hits — muted, eloquent crescendos and decrescendos drive them and tie the music together. In observing birds, he says, you can’t expect or predict anything until it actually happens. And that’s not a whole lot different from Shearwater. 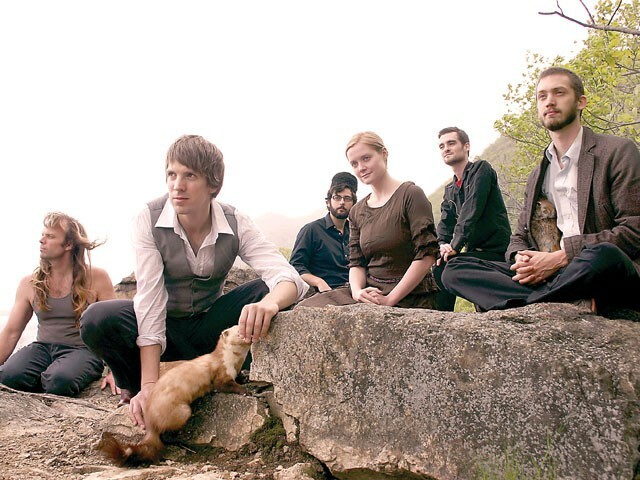 Shearwater plays with the Hospital Ships and Wye Oak on Friday, April 30, at 8 pm at the Belltower in Pullman. Tickets: $12-$15. Visit www.stereopathicmusic.com.